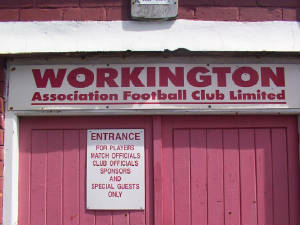 Borough Park became the residence of Workington AFC in 1937, at the time one of the best grounds in the Non League. 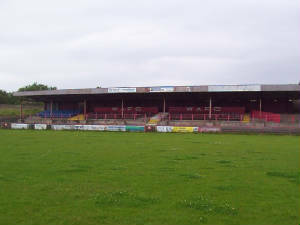 The Ground hosted League football between 1951 and 1977 and the likes of Chelsea and Manchester United made the long journey to West Cumbria. 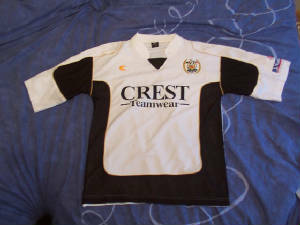 Today Borough Park is a shadow of its former self and has sufferred greatly from under investment by its owners Allerdale Borough Council. 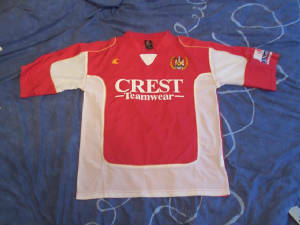 Workington AFC are on the up however, winning the North Western Trains league (now Unibond First division) in 1998/99 and acheiving promotion to the Conference North last season (2004/05) via the Unibond Premier League playoffs. 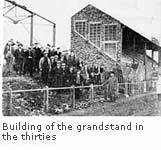 As a result the stadium is receiving a two year face lift to meet FA ground regulations.